December 13, 2013, 12:51 p.m. Highlighting its 25th anniversary, the Los Angeles-based Muslim Public Affairs Council on Friday issued what it called a Declaration Against Extremism, an effort to change public perception by distilling the values of mainstream Islam. Among other principles, the council’s statement calls for respecting all cultures, equal treatment of women, and upholding the idea that authority comes from God rather than from individual leaders. Conveying the ideas of Southern California Islamic leader Dr. Maher Hathout — who co-founded the council and is now battling cancer — the declaration also confronts extremism and violence in Islam’s name. The single-page declaration will be used by the Muslim Public Affairs Council for outreach to Muslims and the broader community, the organization’s leaders said. Hathout, 77, will be honored this weekend at the councils 25th anniversary convention, to be held Saturday at the Long Beach Convention Center. The organization began with about 300 members and has grown to a membership of about 10,000, Al-Marayati said. Aside from its L.A. offices, it also has a public policy wing in Washington, D.C. The Investigative Project reported just seven days after MPAC’s “Declaration Against Extremism” that MPAC was promoting a story accusing Israel of opening a dam during a freak winter storm, causing massive flooding in the Gaza Strip. As the IP report noted, the dam in question does not appear to exist. 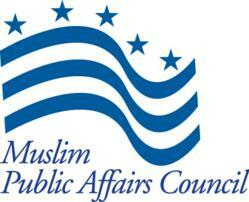 The Muslim Public Affairs Council (MPAC) was established originally in 1986 as the Political Action Committee of the Islamic Center of Southern California whose leaders had backgrounds suggesting they were associated with the Egyptian Muslim Brotherhood. A 1989 US Muslim Brotherhood document introduced as evidence in the Holy Land Foundation terrorism financing trial refers to the last name of one of the MPAC leaders, Mather Hathout, in a list of “Islamic Centers and Groups in the field.” MPAC has since developed into the political lobby arm of the U.S. Muslim Brotherhood and has opposed almost every counterterrorism action proposed or carried out by the U.S. government, often suggesting that the efforts were aimed at the U.S. Muslim community. MPAC has also acted to support a variety of Palestinian terrorist organizations as well as facilitating a wider range of terrorism by defending or justifying violence carried out by Islamic groups. Nevertheless, MPAC has developed particularly extensive relationships with agencies of the U.S. government including meetings with the Department of Justice and the FBI.